Nowadays, at virtually all online casinos you can also go to a live casino section. Should they not give you this option, they will drop out quickly in the huge offer of online casinos. Playing Live offers the opportunity to combine the positive aspects of the casino on land and the online casino. 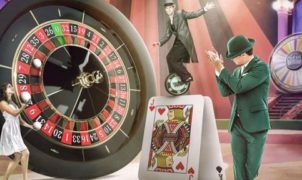 The overview below contains our favourite range of online casinos with a worthy live casino. The reason that the reviews on Top Live Casino are written and published does not just have to do with promotion. If you look closely at our reviews, you will notice that we always look at the casino with a critical eye. If we think an online casino is very good, we will show this clearly, but also an online casino which is not that good will not get away with that. Even in our opinion, good casinos we will always give an honest opinion. We try to look with a professional and as objective view as possible, but a review will of course always be subjective. For example, you may not agree with our review. So please do not let our review hold you back. Are you looking for a compact summary of the pros and cons? You can find this in a table at the top of each review. Live playing at the online casino. In all cases, all online casinos on our website offer live casino opportunities. If your favourite is not included, it does not mean that they do not have live casino. If you like to play online, we encourage you to take a look at the live casino. The online casinos use one or more live casino providers. 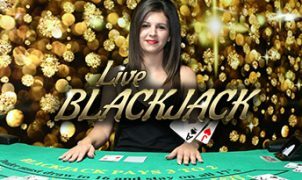 You often see that you can play blackjack and roulette live. By going to the live casino in the online casino you often enter the live gaming lobby. Here you have the choice of a number of games and many versions. Through a live stream connection, it will appear as if you are really playing with a live dealer at a table. To be able to offer live casino games as an online casino, you must use special software providers. These software providers are the ones who provide the online casinos with the live game offer. Each live casino provider has other features, and has its own live dealers and tables. Also the number and types of games depend on the live casino provider. The big names in this market are Evolution Gaming and NetEnt. You will always find in our reviews which provider uses an online casino. Other providers you can play live at include Asia Gaming, Ezugi, and MicroGaming. Live games also entirely depend on personal preference. So try out the live casinos at your fingertips and decide which you like most.